Following on from the general release of the Phase Two Ridewatches, it has been announced that you must turn to Premium Bandai for the Phase One forms. 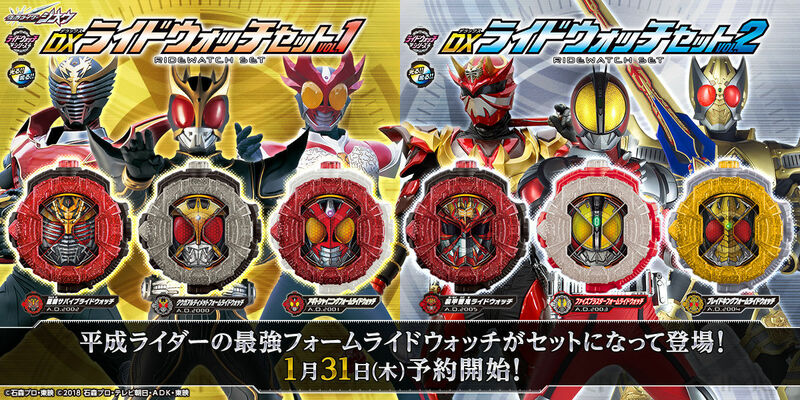 In a very brief teaser, the Bandai Blog have announced the plans for a release of six DX Final Form Ridewatches via Premium Bandai. The first set, dubbed Volume 1, will feature Kuuga Ultimate, Agito Shining, and Ryuki Survive while Volume 2 contains the Faiz Blaster, Blade King, and Armed Hibiki forms. According to the graphic, more details on the release will be made available on January 31st. Stay tuned to Toku Toy Store for more information and preorders. Previous post: Toei announces Kamen Rider Shinobi series; Quiz spin-off upcoming?